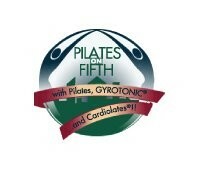 Pilates on Fifth is the first Pilates studio in Manhattan to incorporate training with double suspension points into Pilates privates, duets and group classes! Inspired by the incredible strength and grace of the rings event in men's gymnastics, Pilates on Fifth's Suspension fitness program increases inner joint stability, improves core strength and encourages proper biomechanics. The controlled instability offered by the dual suspension points triggers the deep muscles of the body to fire, so you will truly get stronger from the inside out! SilkSuspension™ = Aerial Silks + Suspension Exercise for an amazing total body, core strengthening workout. There are no upcoming “SilkSuspension” classes on this day. First time taking a class like this and I loved it!! Instructor was amazing and very attentive to form. Going to sign up for another one! Instructor was very helpful in repositioning me and staying patient. Challenging but very fun. Mayo is a great instructor. My first silk suspension class, it was fun and challenging! Mayo was very helpful.